During th e closing ceremony of the Global Entrepreneurship Week, two Loden entrepreneur were given recognition for their hardwork and dedication towards their businesses. His Excellency The Prime Minister of Bhutan presented Mr. Dhan Kumar with the Best Student Entrepreneur Award and a cash prize of Nu. 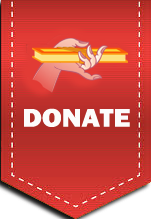 50,000. Dhan Kumar is the founder of Eco Waste Solution in Wangduephodrang and he will also be representing Bhutan in the international Global Student Entrepreneur Awards in 2017. 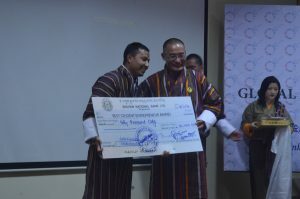 Ms. Puspha Sharma, Director of Bhutan Media and Communication Institute, was awarded the best Loden entrepreneur and was presented with a cheque of Nu. 100000. The award was presented to her by the Hon’ble Minster for Agriculture and Forest. Bhutan Media and Communication Institute provides international quality training and other services in collaboration with other reputed institutions.